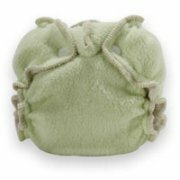 Newborn cloth diaper covers and prefolds or fitteds are an economical solution for your baby. Read on for more information, plus our favorite brands. 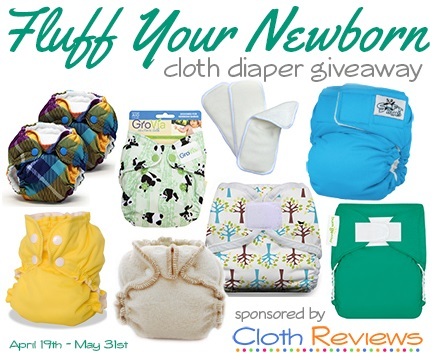 Fluff your newborn with $125+ of cloth diaper prizes! Welcome to the Fluff Your Newborn Cloth Diaper Giveaway Event sponsored by Cloth Reviews, the newest source for consumer-submitted cloth diaper reviews. ONE WINNER will receive a huge newborn cloth diaper prize pack. Winner will have their choice of colors and prints! Use the Rafflecopter form below to enter. The more entries you submit, the better odds you have of winning! Disclosure: I received no compensation for this publication. Thinking About Cloth Diapers and the other participating bloggers are not responsible for prize fulfillment. Please note: We've split our Newborn Cloth Diapers section into two articles. This article discusses newborn covers, prefolds, and fitteds, while a second article discusses newborn all-in-ones, all-in-twos, and pockets. In the early days, we loved the flexibility of more than one brand of cover. For prefolds, simplicity (velcro, tuck-in ends) were important. For fitteds, I found I preferred different brands depending on the cut of the fitted diaper. I also found that even for my newborn, I needed size smalls to cover most of my fitteds. If you plan to use both fitteds and prefolds, I would definitely recommend picking out a few different covers to suit your needs. 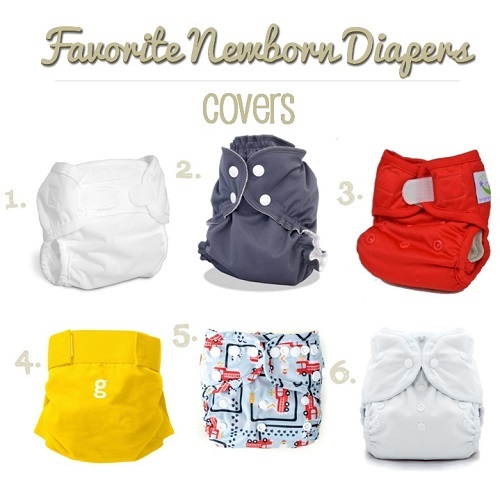 Below are some of our favorite newborn cloth diaper cover brands, in no particular order. I also made a few newborn diaper covers, and if you have a sewing machine or know someone who does, sewing your own covers is a fun project! Here's a link to our newborn cover tutorial. These diapers are not waterproof on their own and require a cover or wrap. 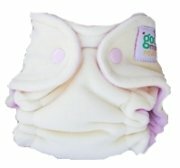 I often recommend the Bummis Super Brite Wrap, newborn size. This wrap fastens with velcro, and has double leg gussets which act as a second containment for runny poop! If you prefer a cover made with a natural material, you can buy wool soakers through many cloth diapering shops, and through Etsy. Want to Make Your Own Newborn Fitteds? Making your own diapers can be a super-affordable and fun way to get custom diapers for a fraction of the cost of buying them! We have 2 tutorials to help you get started - one for a turned-and-topstitched diaper, and one for a serged diaper. I made and used both styles, and they were some of my favorites! Disclosure: The opinions expressed in this post are entirely my own, and your experience with the product may differ from mine. I only recommend products or services I use personally and believe will be good for my readers. I am disclosing this in accordance with the Federal Trade Commission’s 16 CFR, Part 255: “Guides Concerning the Use of Endorsements and Testimonials in Advertising.” For more information, see our Disclaimer and Copyright. 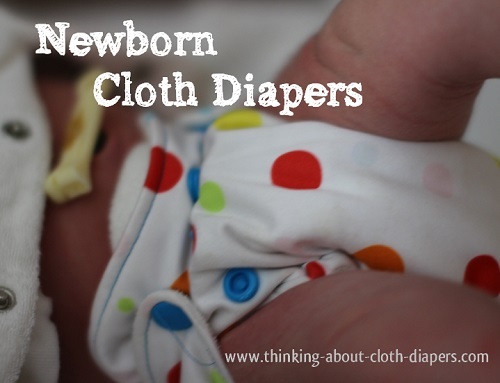 This is a 2-part series on newborn cloth diapering. Continue reading about Newborn All-in-Ones, All-in-Twos, and Pockets.